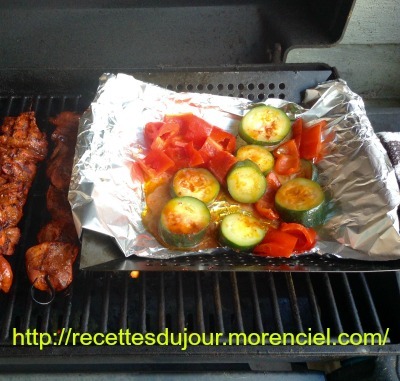 Prepare barbecue (medium-high heat) or preheat broiler. Cut all vegetables into 1/2-inch-thick slices. Brush with olive oil. Sprinkle generously with spice mixture. Grill until just cooked through, turning occasionally, about 8 minutes.